Our family loves roasted cauliflower and we usually roast it tossed in olive oil, salt, pepper and garlic and finish it off with a sprinkling of Parmesan cheese. Whole Foods had a handful of Sriracha sauce based dishes in their grab and go meal section and they all looked amazing. One thing lead to another and voila, this recipe was created. No longer as family friendly as only one of my children like spicy dishes but this is one recipe I can eat breakfast, lunch or dinner and anywhere in between!! 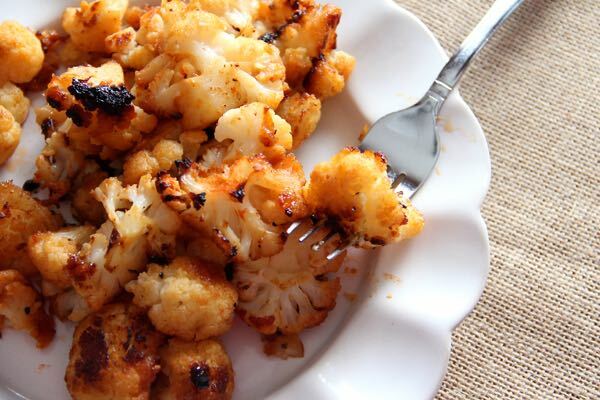 The roasting gives a sweet caramelization and crispy edges to the cauliflower and in one bite you might taste the warm Sriracha sauce and then in the next bite the warmth is offset by a subtle sweet honey effect. And those crispy, burnt bits = heaven!! I prefer my roasted cauliflower a little darker than lighter so adjust the cooking time according to your preferences. In a large bowl, combine olive oil, honey and Sriracha and whisk well. 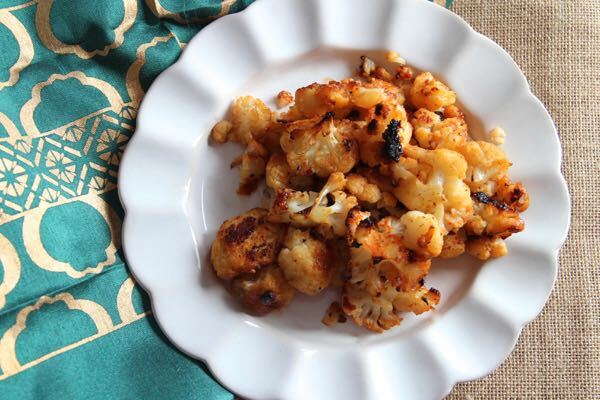 Place the cauliflower florets in the bowl and toss well to coat evenly. Arrange the cauliflower florets into a single layer on a non-stick baking dish, or aluminum foil lined rimmed baking sheet and sprinkle with salt and pepper. Roast until the florets are tender and browned, tossing once during the cooking time, roughly 30 minutes . Serve with additional Sriracha sauce, if desired.